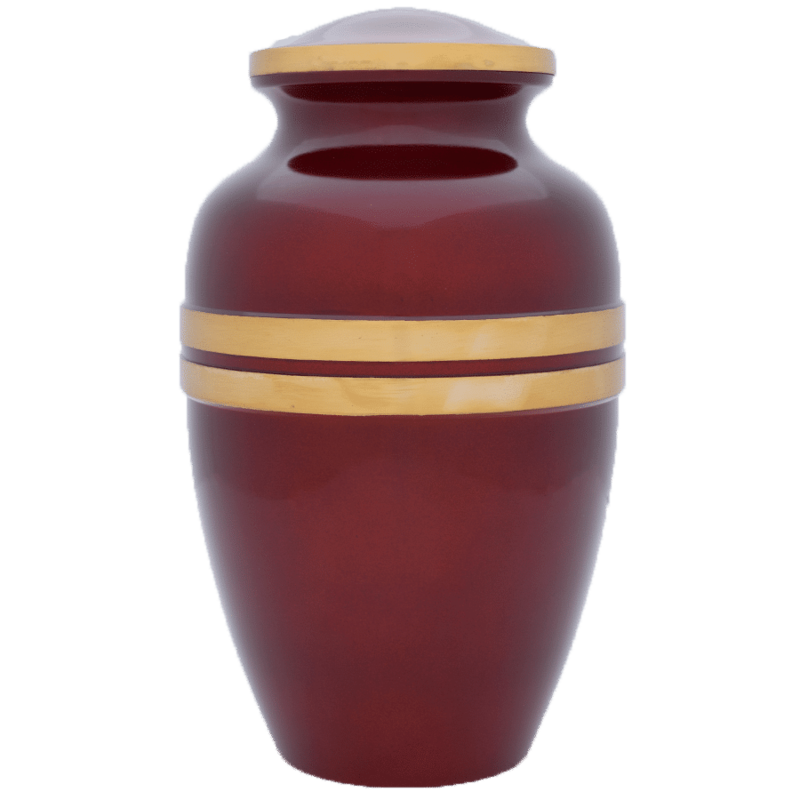 This fiery scarlet urn makes a decorous resting place for a loved one who was full of passion. 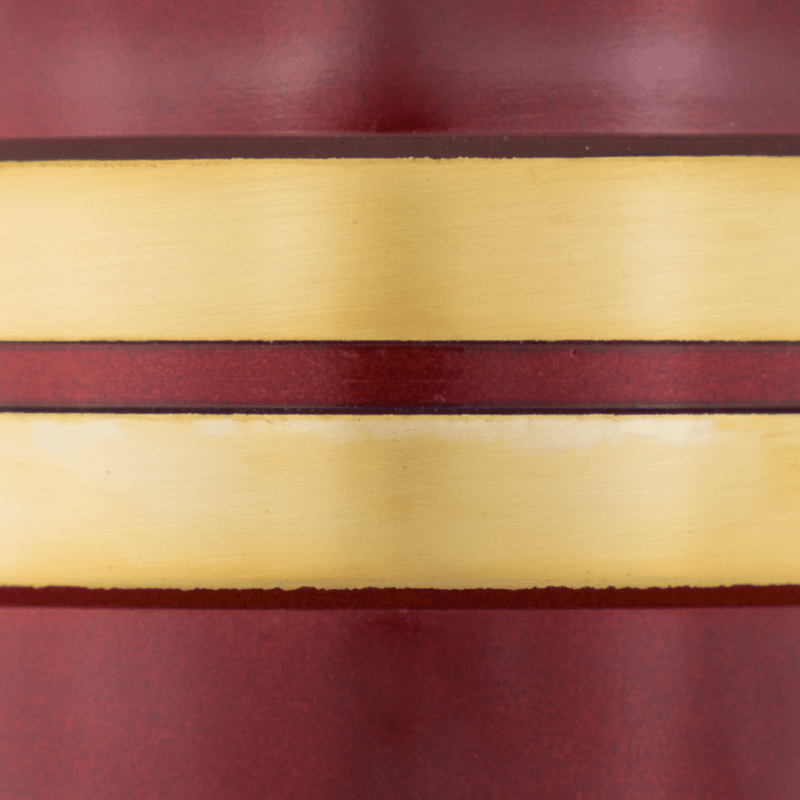 Handcrafted with a high-gloss red finish, it’s accented with a double band of brushed bronze. 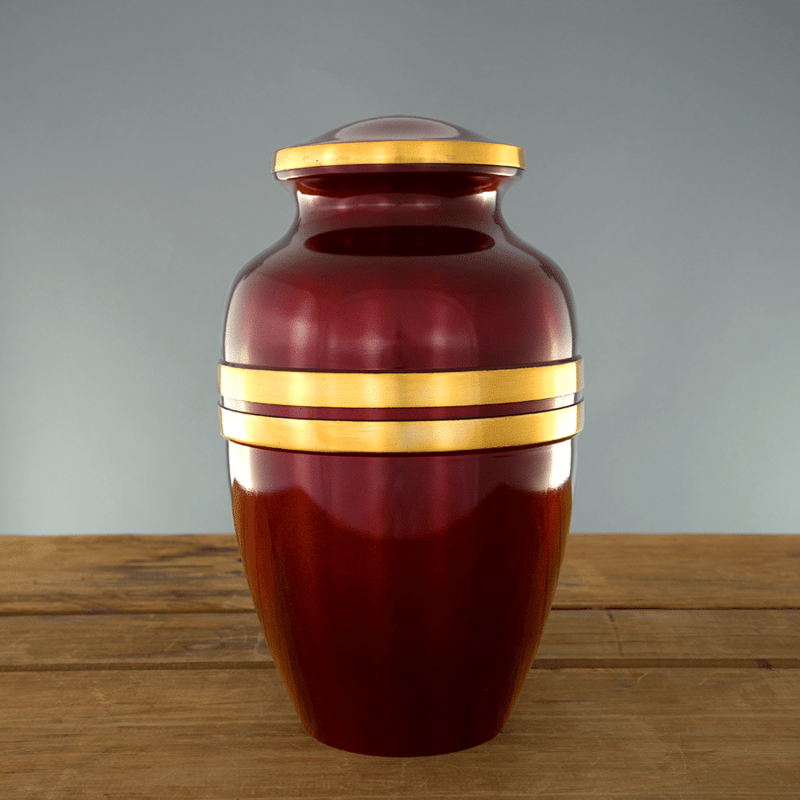 The bold color and detailed design make it a beautiful display for home and burial. It’s also available in a small keepsake size.